I know opinions and all, but wow, I just got into a debate with someone who said this is the worst in the entire franchise. 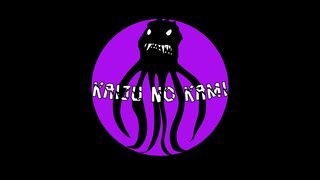 Dr Kain wrote: I know opinions and all, but wow, I just got into a debate with someone who said this is the worst in the entire franchise. How? The Heisei definitely but I don't understand hating the showa film. He actually said the 92 Mothra movie was a better movie because the monsters fought more. While I might question some people's opinions on films, I rarely outright say someone's opinion is wrong. This person's opinion is wrong. Its like saying The 76' Kong is the best Kong film ever and the 33' one is garbage. Its ignorant. DannyBeane wrote: While I might question some people's opinions on films, I rarely outright say someone's opinion is wrong. This person's opinion is wrong. Its like saying The 76' Kong is the best Kong film ever and the 33' one is garbage. Its ignorant. What's funny is I asked him what his top Godzilla movies are and he stopped responding. ... How can someone say this movie is one of the worst of the franchise? Some people, man. Some people. Out of all the Showa films by Honda, I'd say MvG is one of the weakest. Geno wrote: Out of all the Showa films by Honda, I'd say MvG is one of the weakest. The weakest? How so? This is the movie where they perfected their craft. Yeah, this kid also said that Dagahra is one of Toho's best creations....um....yeah. It wouldn't surprise me if he's just trolling, but sadly I'm seeing more of this type of nonsense from newer fans of the genre. Oddly enough I don't think he is trolling as well. I've seen many people that don't seem to want to acknowledge any movies made before they were born which is ridiculous. DannyBeane wrote: I've seen many people that don't seem to want to acknowledge any movies made before they were born which is ridiculous. When I went to see Star Trek Into Darkness, a friend of a friend was there who brought another friend, maybe their girlfriend. Anyway, she went just because of Cumberbatch and when asked if she seen any of the original Star Trek she said something like that or she didn't watch things that were black and white (which made even less sense). Crap like that makes me automatically think less of a person. I've got a friend who is kind of like that. Unless it is Mel Brooks, whenever we are deciding what movies to watch if we mention anything before the 70s he'll be like, "No offense, classics are cool and all, but I've already seen the good ones, how about we watch something newer instead?" He is also the person who is constantly checking the time on his phone in the movie theater. He just has no patience, he doesn't like movies that are fun either. It either has to be a comedy or explosions. Actually, the dude I was referring to was on GameFAQs, not TohoKingdom. Bruticus wrote: EDIT: Watching it now and I take that back - I don't think it's oil. I'm guessing it's just a blemish of some kind, like a freckle. Or maybe Godzilla's subtly multi-coloured. That's what I always assumed. When you examine something closely you see all sorts of colors and details that are completely lost in normal view. ...So, all this time, Godzilla hasn't even been charcoal grey; his official color is rainbow! i've always wondered why Godzilla was after the egg. So... any serious theories on this? He needed the protein for sick gains. Does Mothra even lift? Enemy monsters are just naturally drawn to each other. Random observation - anyone else notice the glowing of Godzilla's fins is a bit mismatched? I notice that every time I watch the movie... but I don't know why it ended up that way. Honestly, it's a mistake that looks almost natural, like it's the kind of photographic flaw that would manifest if you actually filmed Godzilla. 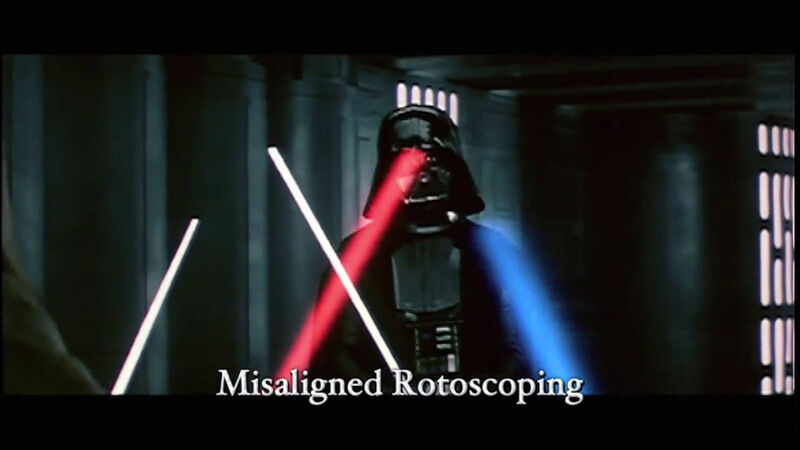 Yeah, it’s just a misalignment of the rotoscoping during the compositing process. I don’t know for certain exactly how it happens, but I’m pretty sure it’s just the various pieces of film used to create the composite image were not physically lined up well enough as they went through the optical printer. In this case, it looks like they accidentally put the lightsaber-color film layer in flopped. (Like, it should be a mirror image of what we see here if it were going to properly line up with the blades). I was watching my Classic Media DVD of Mothra vs Godzilla and I've noticed something I've never seen before. During the fight on the island when the Mothra Larva grabs Godzilla by the tail, you can see where the prop accidentally splits open. I've seen these films dozens of times and I'm still noticing things I've never seen before. Ha! That's something I always notice but have probably never mentioned before because so much is going on in that sequence it's soon out of mind. 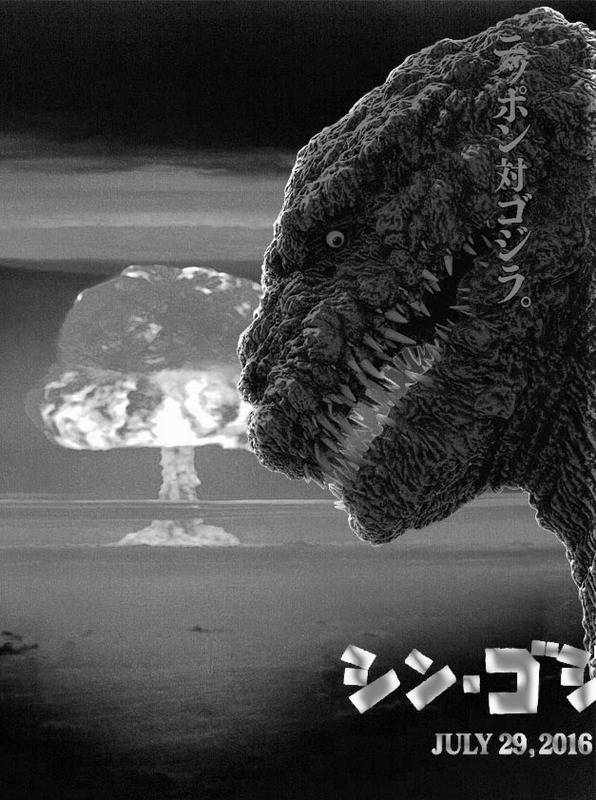 This is still one of my absolute favorite Godzilla films. I love the 64 design, I love the storyline and Godzilla's memorable and grand entrance, the effects are great, the human characters are all memorable. 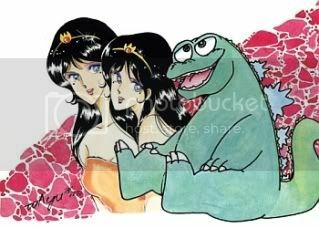 This is classic Godzilla that made me fall in love with giant monsters. 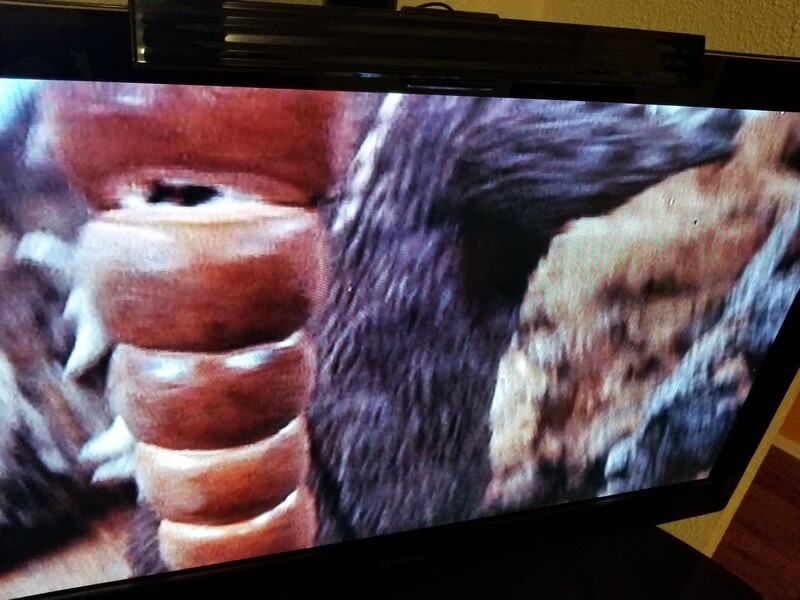 DannyBeane wrote: I was watching my Classic Media DVD of Mothra vs Godzilla and I've noticed something I've never seen before. During the fight on the island when the Mothra Larva grabs Godzilla by the tail, you can see where the prop accidentally splits open. I've seen these films dozens of times and I'm still noticing things I've never seen before. Well, that explain that's how the other larva died before GTTHM.